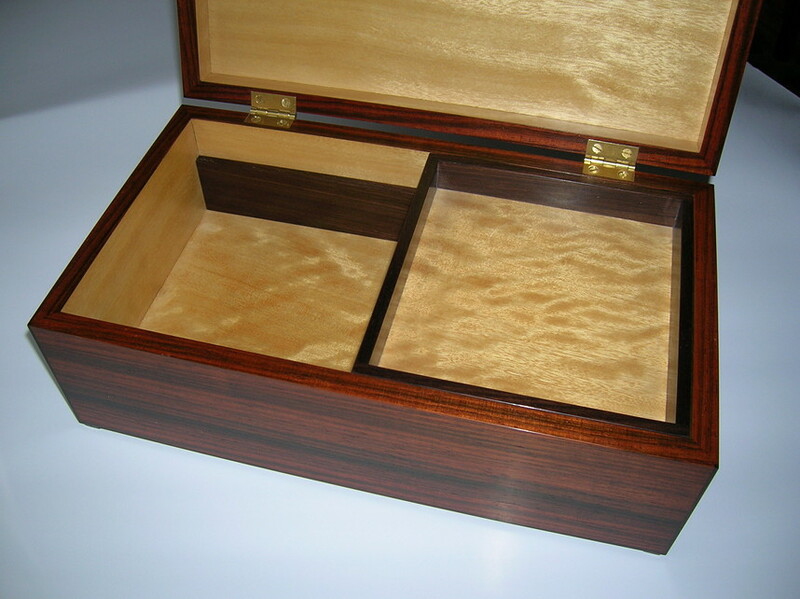 The case is made from solid cherry. 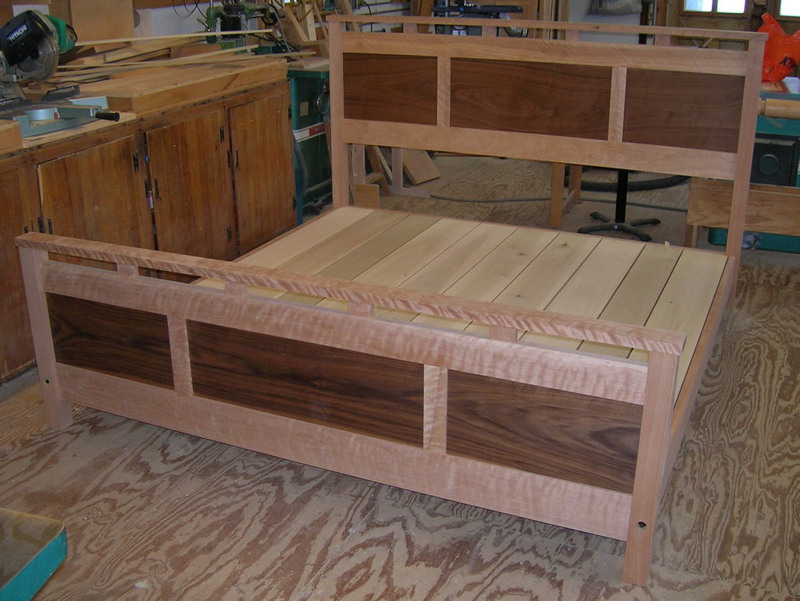 The drawer fronts are laminated construction with a curly cherry outside veneer. 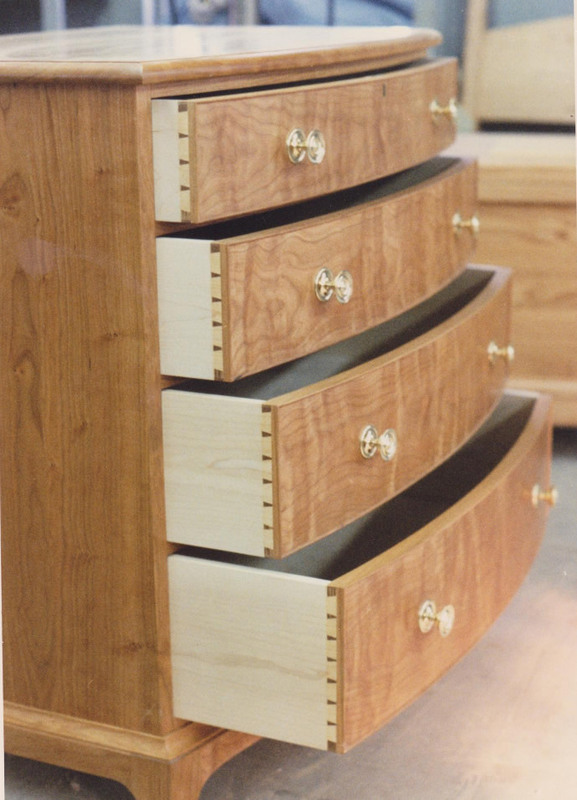 The drawers feature hand-cut dovetails. The stringers, risers, and handrails are cherry with the stringers and handrails being laminated. 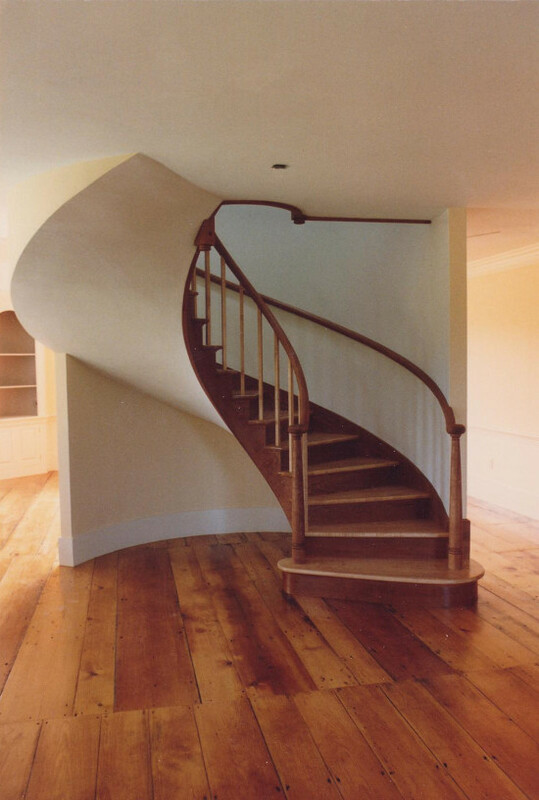 The treads and ballisters are curly maple. This piece features a rosewood veneer over a molded pine core. 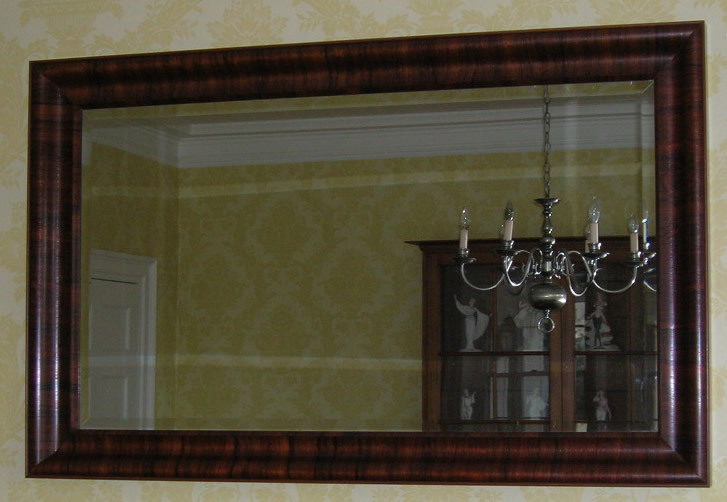 The project was inspired by an antique mahogany mirror frame. This project began with a customer's simple sketch on a napkin. 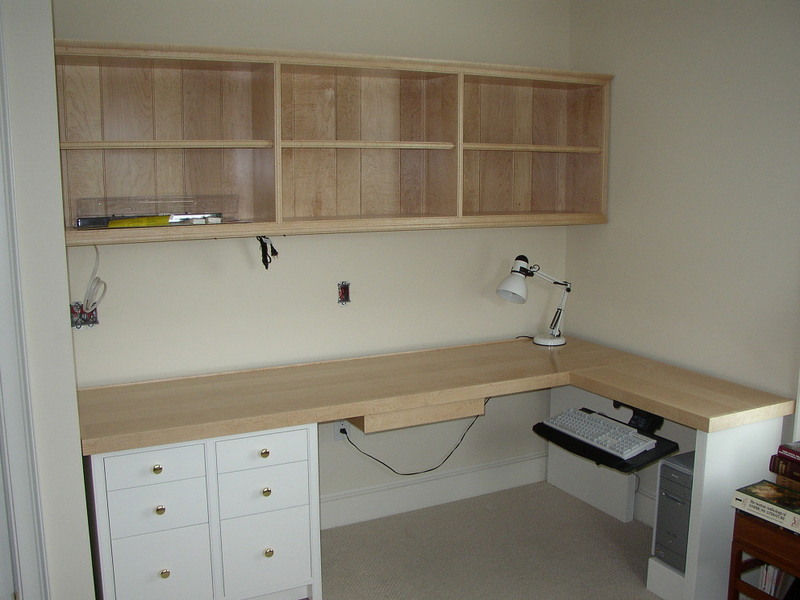 For this project, I milled my own curly maple veneer for the desktop; because of the design requirements, solid wood could not be used. The bookcase is solid curly maple. 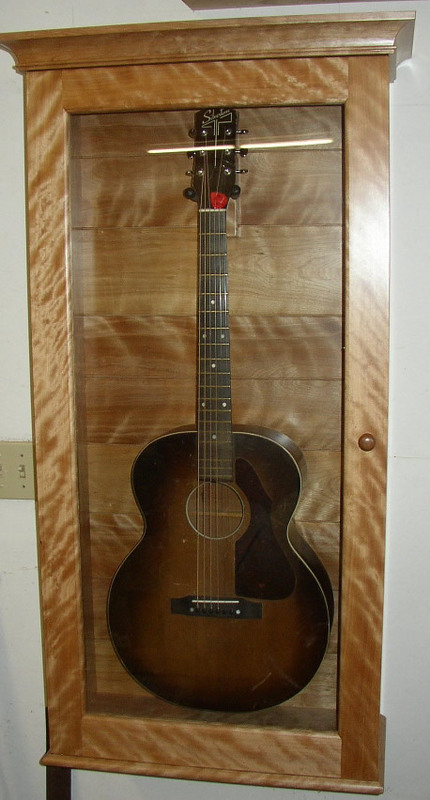 Built to hold a customer's vintage guitar. 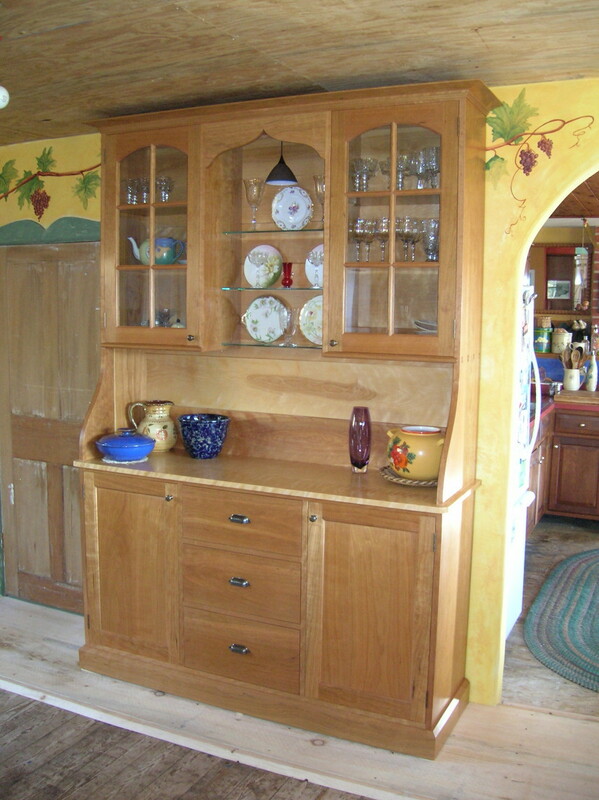 This design was inspired by the American 'Arts and Crafts' style, a blend of traditional and modern. Commissioned by a friend, I used the last of my stock of this rare veneer for this wedding present. 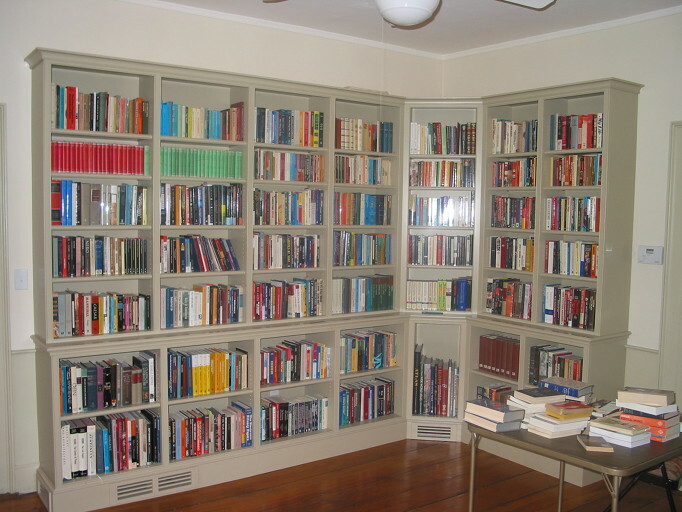 This bookcase was made to go in an early 1800's house with period moldings and details. 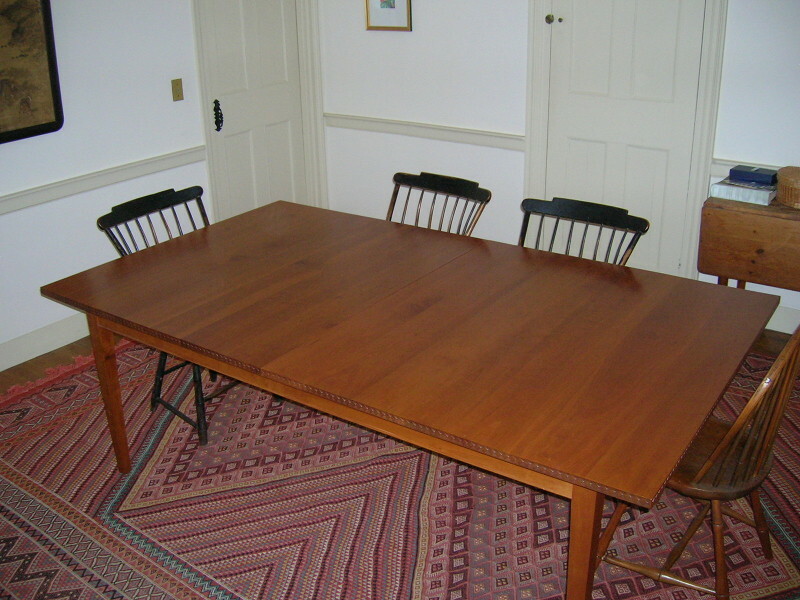 This table is expandable with two additional leaves.